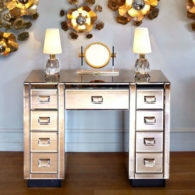 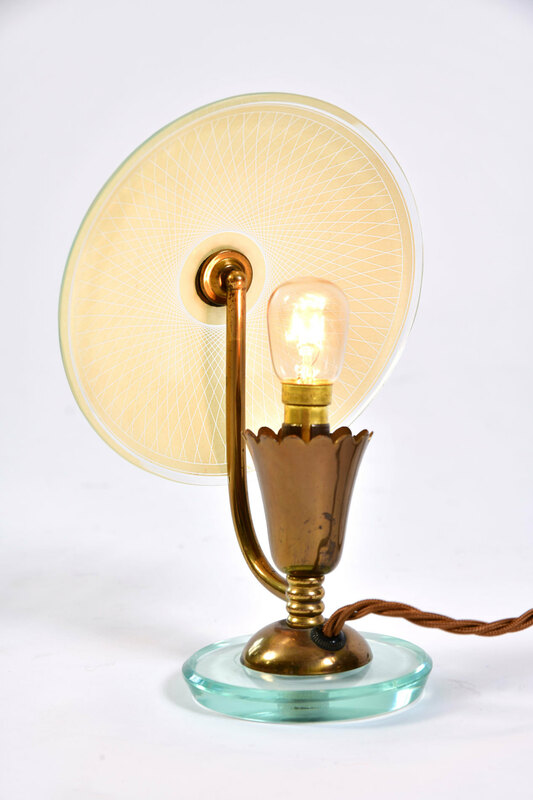 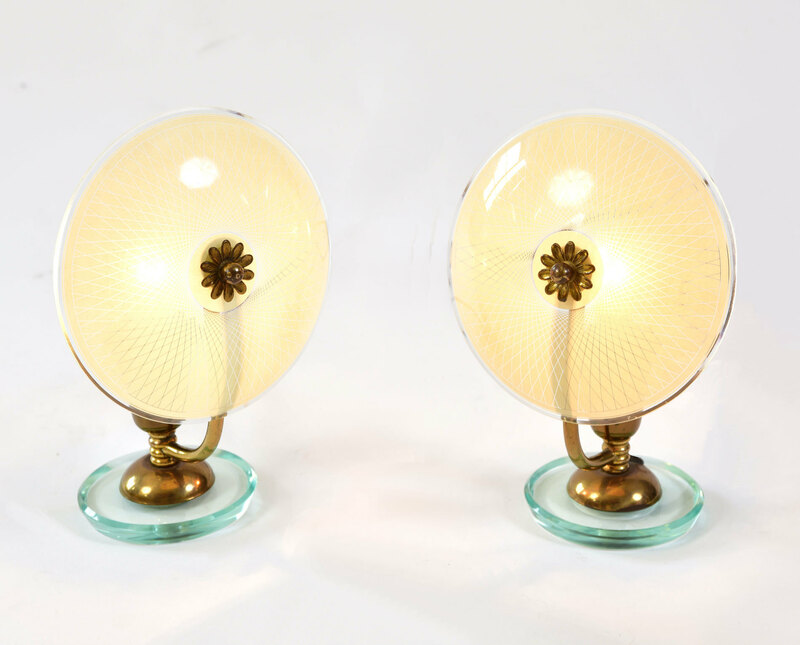 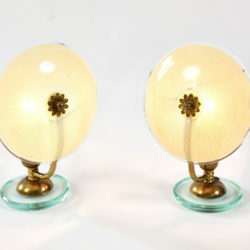 Exquisite pair of glass and brass table lamps. 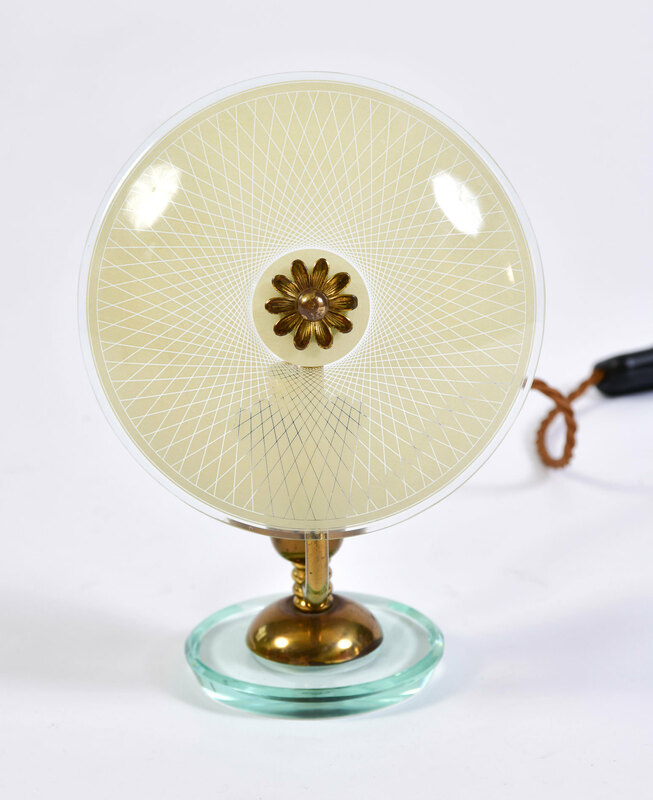 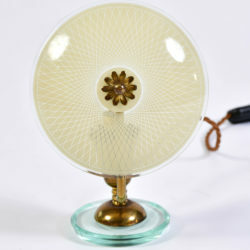 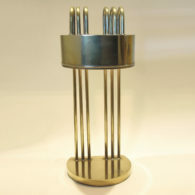 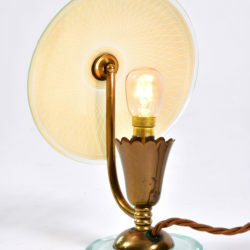 Green glass base with domed brass fitting. 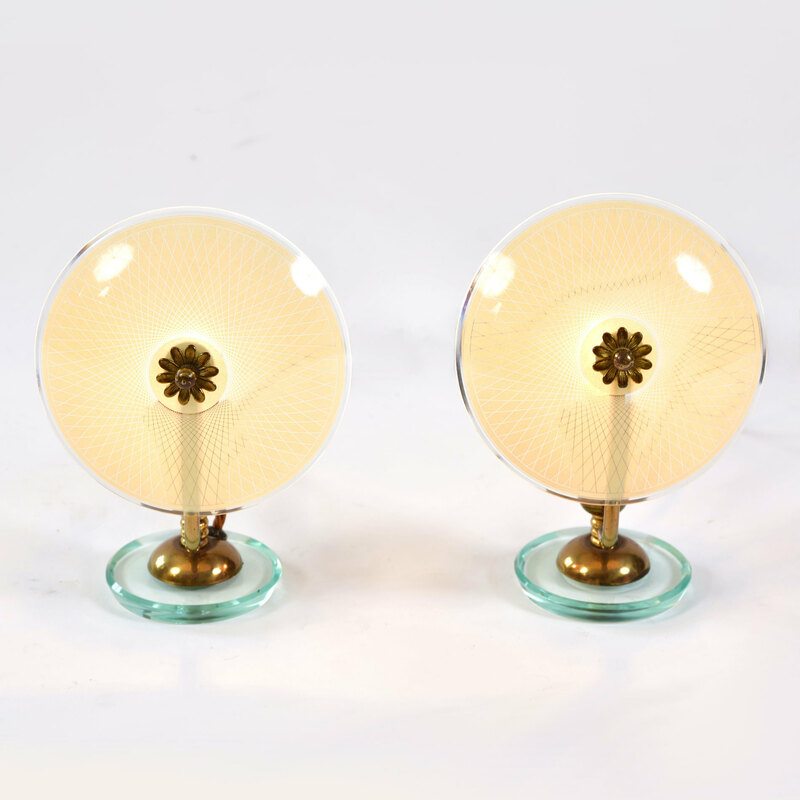 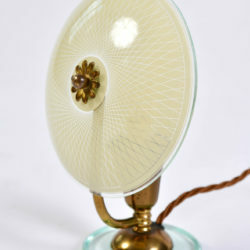 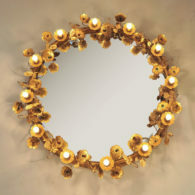 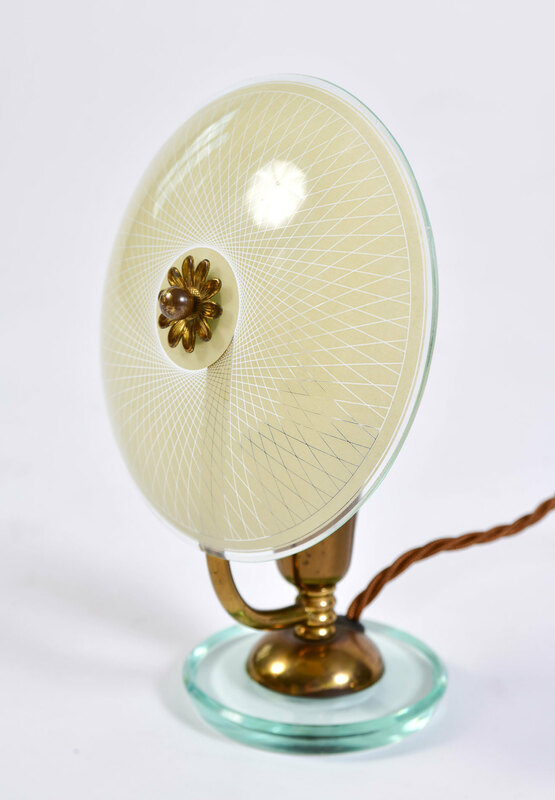 Fluted lamp holders with curved arms hold the finely patterned soft cream glass shades with decorative brass flower centre.